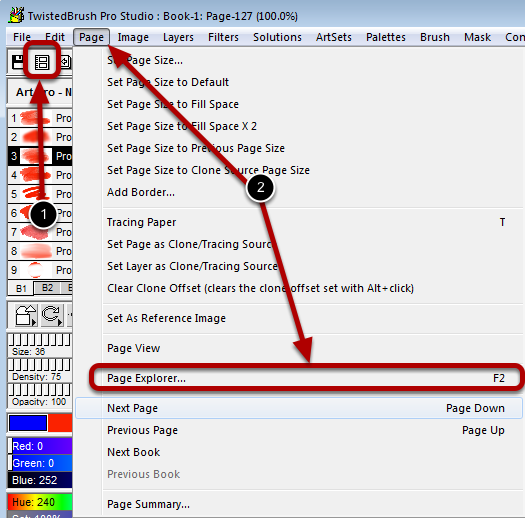 The Page Explorer in TwistedBrush Pro Studio allows for managing your books and pages. This menu bar icon will launch the Page Explorer. 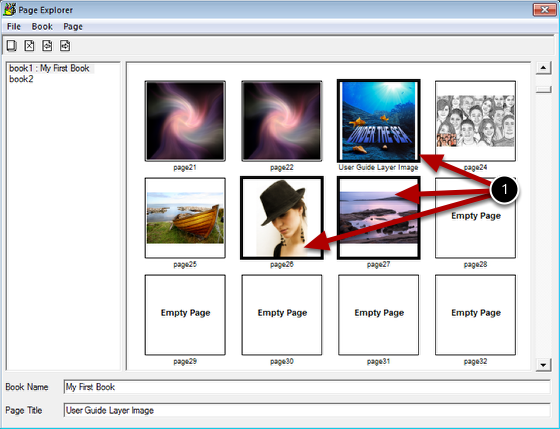 The Page Explorer item from the Page menu will launch the Page Explorer. Menu bar for frequently used commands in the Page Explorer. List of books you have within TwistedBrush Pro Studio. There is no limit to the number of books you can create. TwistedBrush always will have at least 1 book. List of pages (images) in your currently selected book shown as thumbnails. 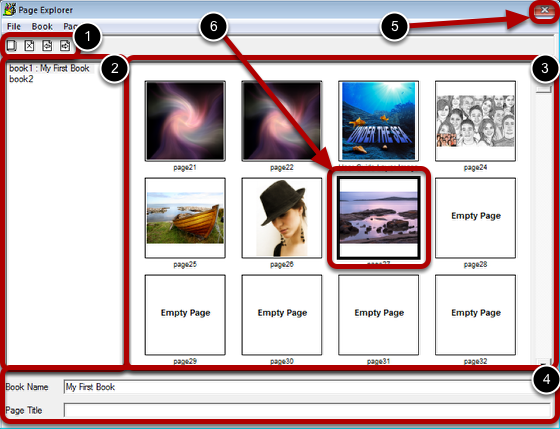 Fields for entering a name for your currently selected book or currently selected page. Exit the Page Explorer by clicking the X or from the File menu. Notice the black outline around this thumbnail. This is the currently selected page in the book. Clicking on a selected page (double clicking) will load that page and close the Page Explorer. Notice there are three pages selected here. You can see the black outline around them. You can toggle a page as selected by holding down the CTRL key and clicking on the thumbnail. Any number of pages can be selected this way. If you press and hold the Shift key while clicking on a thumbnail every page in sequence between the clicked page and previous clicked page will be selected. 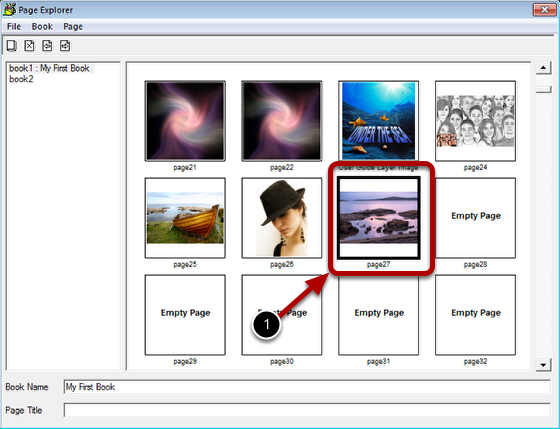 Selecting multiple pages can be useful for deleting all at once or creating a slide show.